Many factors impacts on a bike's power delivery and performance such as number of cylinders, bore/stroke ratio, is it 2 or 4 stroke, carb's vs. fuel injection, turbo charging, etc. 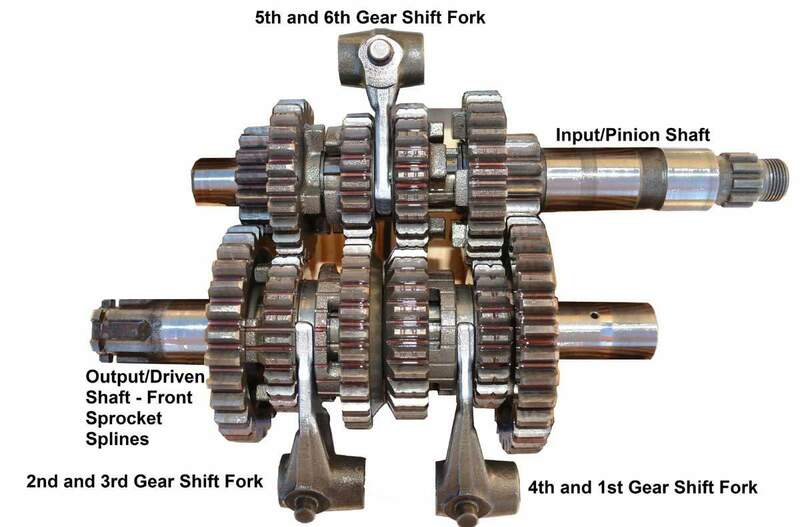 This section simply attempts to describe the important role of gear ratios. Changing any of these parts or changing the rear wheel tire's dimensions will effect speed and / or torque results. All of these changes can be simulated by using the GC (gearing calculator) by changing involved gearing fields. To be able to do this correct, all ratio, sizes and RPM's are necessary input. The primary drive is the ratio between the engine's crankshaft and the incoming shaft of the gear box or clutch. Usually this ratio can not be easily altered unless you perform major surgery on your bike.... But if you do, also change the Primary Drive Ratio field in the GC accordingly. Where as '++++' means a 4 time as big affect of course. Where <- - - - - - - -> means move it more then <- -> of course. Note: There is much more to gearing ratios than covered above. Your are advised to visit The Gearing Commander website - www.gearingcommander.com. This is web-site dedicated to this topic. It has a simple Gearing Calculator (GC) pre-set with the information of many bikes. It also allows you to recalculate the effect of possible changes as described above. Lower gearing will give a more ‘lively’ ride. You’ll need less revs to get off the line and first gear will be over more quickly. The front wheel will be more likely to leave the ground too as the extra thrust accelerates you faster. Higher gearing will give a more relaxed ride, with cruising speed at correspondingly lower revs. More clutch slipping will be needed from a standstill and first gear will feel ‘longer’. Acceleration in top gear may feel rather sluggish.